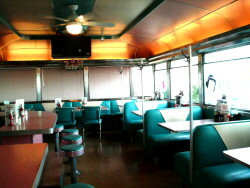 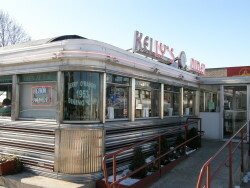 Kelly's Diner is a 1953 Jerry O'Mahoney, two piece dining car. 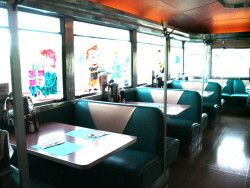 It measures 55 feet long and is one of the largest diners ever manufactured in the 1950's. 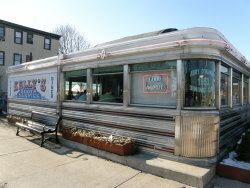 It spent the last 42 years on Route 13 in New Castle, Delaware and was brought by the Holmes family in 1996. 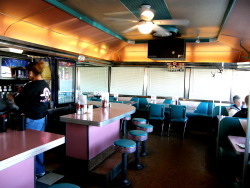 It was transported to its Ball Square site on two specially equipped, low bed trailers, in two pieces and reassembled with a great deal of care, as you see it now. 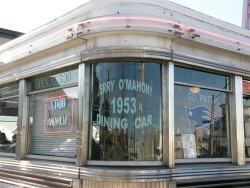 Completely renovated, we know the Somerville Community will enjoy this classic addition to the Ball Square area. 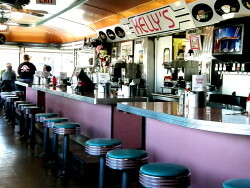 Kelly's Diner was selected as one of Top 5 Diners in New England by Yankee Magazine!